28ct. 'Ancient' cashel linen (stitched 2 over 2) from Picture This Plus. Stitched with ThreadworX hand overdyed threads #1048 'Woodland Green' & #1089 'Bleeding Hearts'. and Kreinik #4 braid 202 HL Aztec Gold High Lustre and #4 braid 102 Vatican Gold. 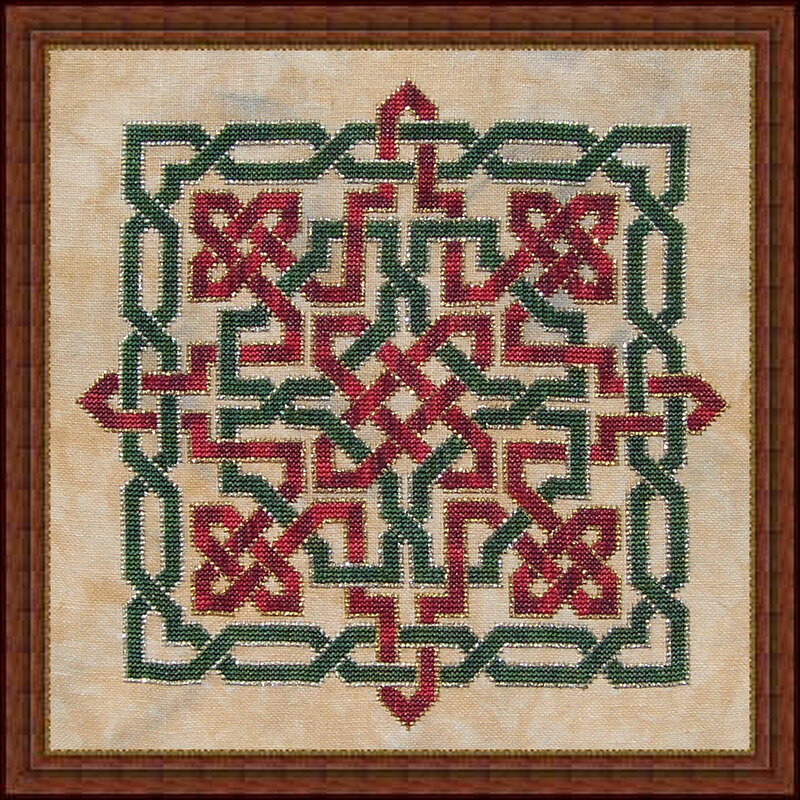 Stitch count is 135 w x 135 h.
Any variegated or solid color threads may be used to stitch this design. These designs contain all whole stitches and is easily converted to needlepoint. copyright © 2012 Whispered by the Wind, LLC.